In 2013, the Institute focused the international charrette around its partnership with the Dublin City Council (DCC), a major project partner on The Dublin Project. Drawing on the work of the IwB and DCC on the major project, the charrette was called the Dublin/ Toronto International Charrette and looked at the future design of public service delivery. The event took place from Friday, February 22nd to Monday, February 25th, at the MaRS Discovery District and at the IwB Studio. The Dublin/ Toronto Charrette produced innovative and new public service concepts that could be applied in Dublin and Toronto to reshape the relationship between citizens and the city. These proposals are useful case studies for ways that other cities can reevaluate their public service delivery. Based on assigned municipal service delivery themes and case study sites in Dublin and Toronto, charrette teams were asked to design an innovative and new public service concept that could benefit both cities and could be built on a shared or crowd-sourced model. In addition, the teams were asked to create a delivery plan for a public service that includes spatial, visual and interactive elements specific to each case study site. The goal was to create service delivery systems that could enhance user experience and increase efficiency with fewer resources by involving the public in their delivery process in a meaningful way. How can the City of Dublin re-image public service delivery, anticipate changing needs, and engage the public to do all this with fewer resources? Cities have traditionally been providers of many services to their citizens, but as we enter the 21st century, cities must respond to increasingly complex issues with fewer resources. In September 2012, the IwB began partnering with the Dublin Institute of Technology (DIT), Dublin City Council (DCC) and Design Twentyfirst Century (D21C). The focus of their collaboration was innovating Dublin’s public service by collaborating with citizens to deliver new and emerging utilities, infrastructure and services. 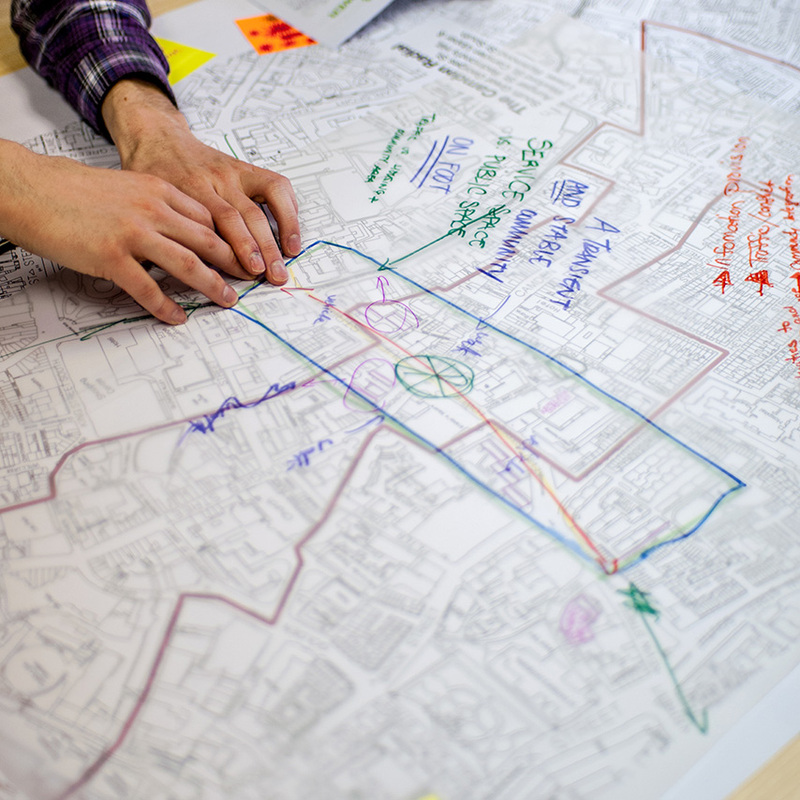 Working in interdisciplinary and international teams, charrette participants tackled the issue of public services and the changing environments in which they are delivered in cities. Ten case study sites were chosen in Dublin and Toronto, located along two urban ‘radials’; together 20 different sites and teams between the two cities. Ten public service delivery themes were selected to address the Toronto and Dublin sites: waste, tourism, energy, heritage and dereliction, social services, arts and social innovation, food, lighting, traffic and business improvement. Designs were developed to address the present and future public service needs of these areas. Though the two cities are very different, what emerged through the charrette process are how much all cities have changed in tandem with more complex global economic process, changed urban demographics, new technologies, etc. and how much the public’s needs have changed in response to these factors. Public service delivery of the future has to be in tune with changed local and global processes in order to successfully communicated with and serve the public. Charrette team proposals were quite diverse. For instance, Team 1, working on the theme of “waste” at the Distillery District site in Toronto proposed a trash powered garden and a recycling initiative that takes residential and retail recycling and reintegrates it back into the distillery area in the form of kiosks and modular gardens. Whereas Team 4, looking at tourism in the South Great George Street in Dublin City, proposed the “Castle District,” a branding and revitalization plan to reinforce the identity of the Dublin Castle grounds and strengthen connections to the surrounding area, enhancing the visitor experience. Other proposals included Team 12’s “Spark,” a new kind of employment resource centre for Redmond’s Hill and Wexford St. in Dublin. 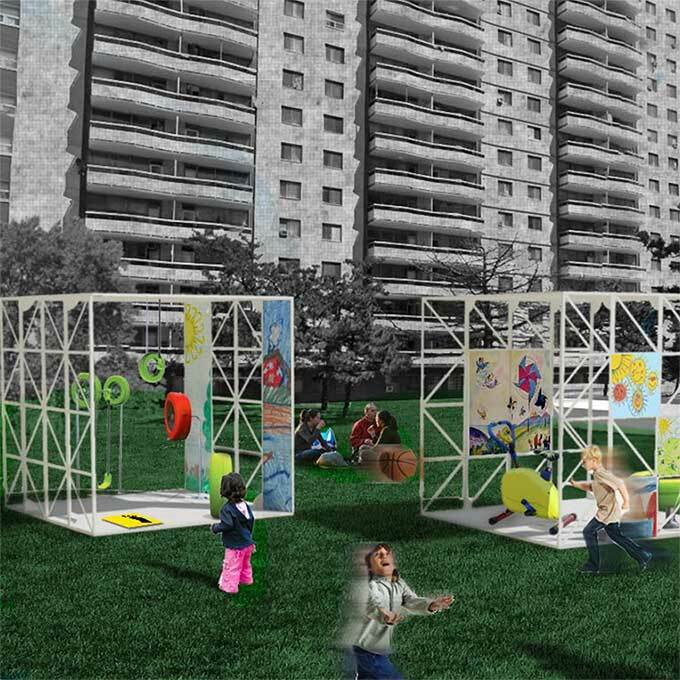 Team 17, working on the theme of food in Regent Park in Toronto, proposed “Hive,” a community-based training program which cultivates social networks and relationships, using food as a common point of connection. And “Viart,” a platform for artists, community members and stakeholders to engage, share and collaborate on meaningful art projects, was proposed by Team 20 as a new arts and social innovation public service for the Camden St. Upper and Richmond St. South in Dublin City. Together the charrette produced 20 fascinating proposals that were presented to and evaluated by a panel of professionals and faculty from the IwB, DCC, DIT and other key project partners. 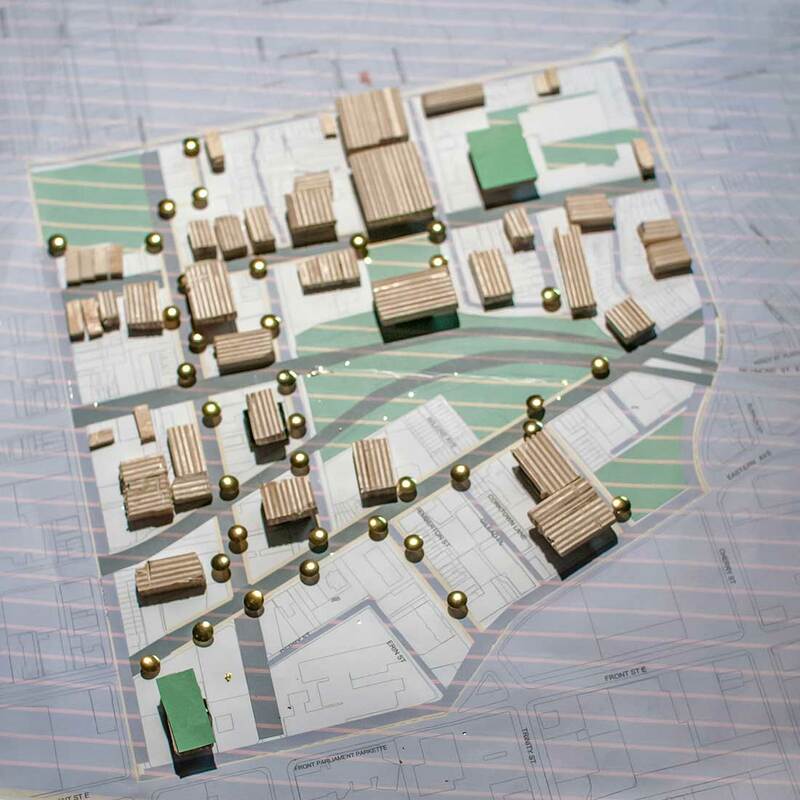 To read more about the charrette projects, view the Charrette Project Summary. Contact us for more information on individual projects.